A bit of gaming and Sotcw history! I bet the articles are still worth a read too. (I am a late arriver so missed these). My simple mind suggests a scanner, an editorial soft ware like Adobe Photoshop, and a pdf converter and a lot of time needed! Indeed it sounds a great idea. We should try and preserve it all. Aaaaaaaaaaaaaaaaaaaaaaaaaaaah.....you do have some lucid moments of clarity then!!! Seriously needs digitalising for further use and posterity! I would buy digital /CD / download old ones and also spare copies as pressies! There is lots of scope here! Perhaps a Society project for any spare cash in the Sotcw bank account while current writing / Journls are not developing? Not sure my home scanner / printer is up to such a job even if I had man hours in retirement to do it?! Some authors point blank refused to allow their stuff to be so duplicated, we would, therefore, have to track down each and every author and ask their permission to reproduce their work in a digital format - I`m not sure this is even possible?? What would be the risk if there was legal action? 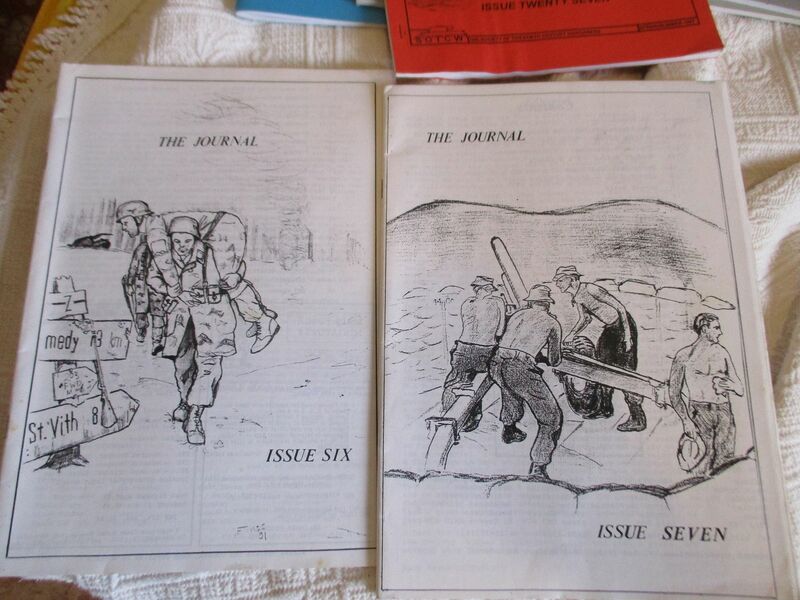 What if it went on WV as part of the Journal as a SOTCW product of obtaining past issues? On a personal note, I would have to seriously consider my position in the society. I, and my clients, rely on copyright to make a living. If the SOTCW didn't respect copyright, I'd have serious misgivings about volunteering for the society or being a member. Also, getting permission isn't an easy task. I did it for Journal 53. 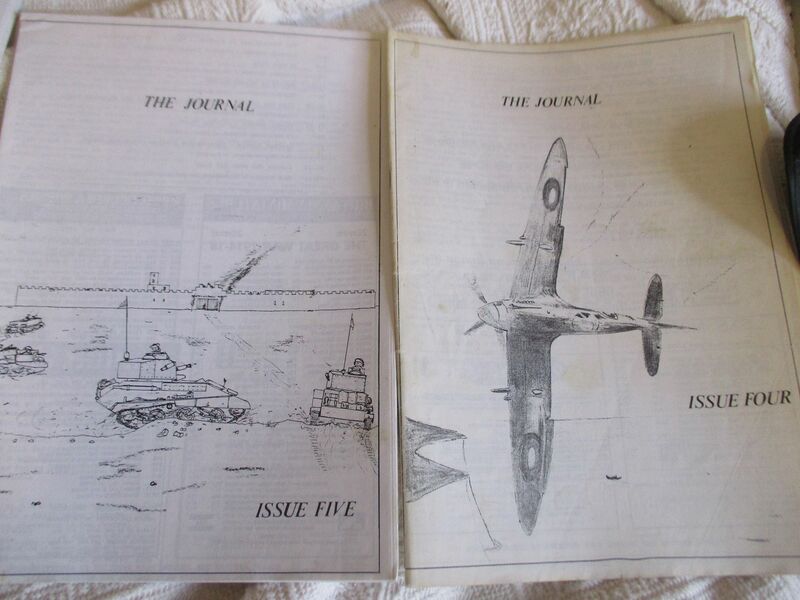 You may note that most of Journal 53 is available from Wargame Vault as a PDF. They're the articles where I was able to find the authors and get their permission. The ones that aren't included are the ones where I was unable to get permission. Doing it for one Journal was time consuming and difficult. I won't be doing it for any more. If anyone else wants to take up the challenge, shout up. No one would nor should expect anybody to compromise their own reputation and integrity for any reason. Its just a straight no no. Contributors' expectation that their copyright will be honoured is also a very basic premise. Any breach of this isn't going to lead anywhere good. I think anyone being asked to root out permission to use copyright material most definitely goes well above and beyond any reasonable expectation. The fact that Russell has already done this illustrates his efforts on behalf of the society.